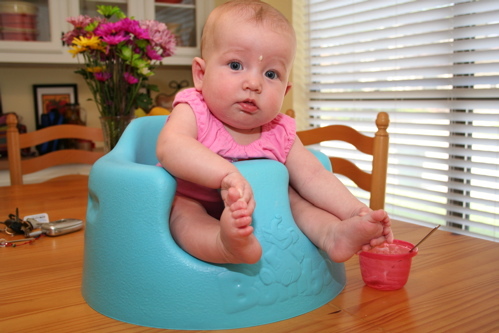 there is a recall on our bumbo. it is sooooo sad! we LOVED this thing! we used it as a high chair for emma for a long time. she played in it forever. i was shocked to hear that babies have had head injuries because of it. so, like any good parent, i took it back. target gave me a nice giftcard for $43 with no questions asked. i do hope that they come out with a new SAFE version. Just to clarify that the recall has to do specifically with the warning, instructions and packaging of the Bumbo. The seat itself is okay, but we wanted to make sure there was no confusion about how to use the product safely. 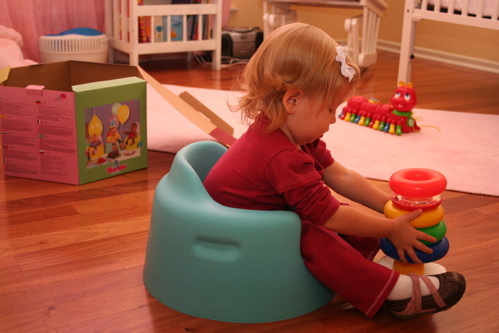 Anyone interested in how to use the Bumbo Baby Seat safely should visit http://www.bumbosafety.com. BTW, the Bumbo is back on the market with updated warning and instructions. Next Next post: elf yourself.